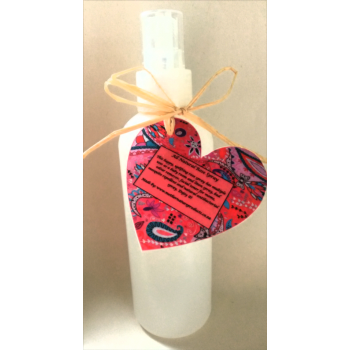 This happy, uplifting rose spray has multiple uses as a baby room and linen spray, bad odour remover, facial toner for moms and mosquito repelant. I have successfully used it as a anti lice infection hair spray on my school going child by adding a few drops of our Teat Tree Oil! Contains a blend of natural rose essential oils which are relaxing and uplifting. Rose essential oil has a natural antibacterial property giving it multiple functionality. The room spray is great to use after nappy changes. Direction for use: Spray bedding just before nap-time, or mist room prior to breastfeeding / after nappy changes.